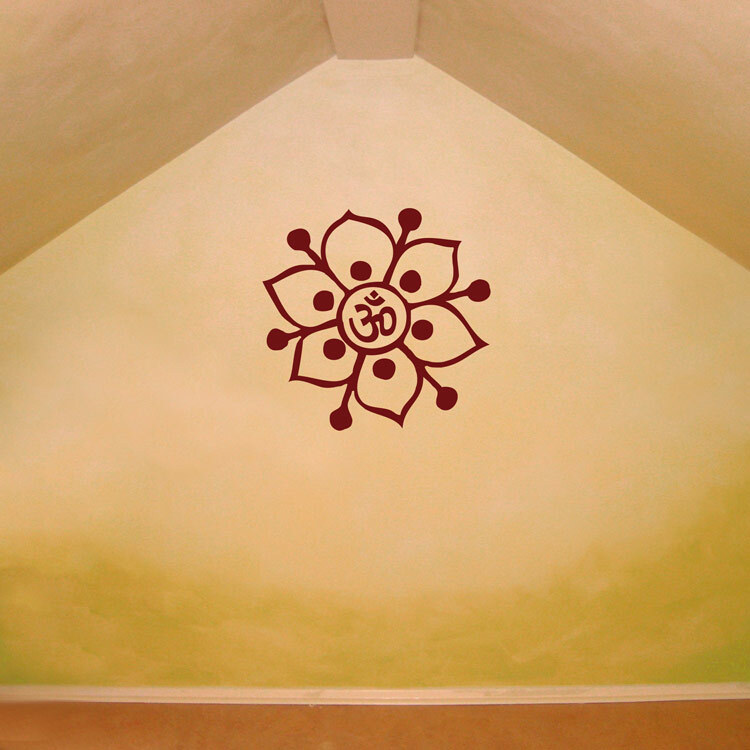 Do you ever wonder why we chant "Om" in yoga? There's so much depth to the meaning of Om that it's quite difficult to describe! Some say it's "the sound of the Universe". Om represents our connections to the divine and to each other, the states of human consciousness. It is considered to be the most sacred mantra! 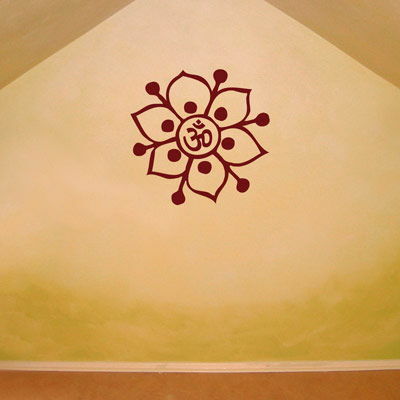 This beautiful and simple meditation wall sticker is ideal for an entrance, home gym, foyer, garage door, laundry room, bedroom, dorm, yoga studio, apartment, office, your child's space, laptop or anywhere with a smooth, flat surface! Size shown - Large - 22 inches high by 22.5 inches wide. This Om decal comes in one piece, ready to apply! Thank you so much for your recommendations and suggestions regarding your products. We put them up over the weekend and we have received compliments from everyone!